Uric acid is a nitrogenous compound which is formed as a byproduct of metabolic activities and is eliminated by the kidneys. The buildup of uric acid levels in blood gives rise to a number of health conditions. 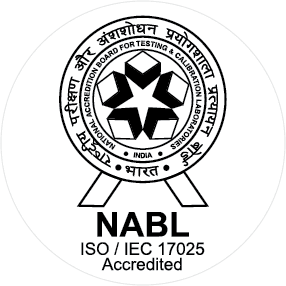 The Uric Acid Test is performed to measure the levels of uric acid in the blood. Why is Uric Acid done? What does Uric Acid Measure? Uric acid is a nitrogenous compound produced by the metabolic breakdown of purine. Purines are nitrogenous bases in DNA forming parts of the structural framework of the cells. Breakdown of purines occurs when cells become old and die, forming uric acid. Uric acid is also formed from the metabolic breakdown of some types of food like red meat, seafood, beans, etc. Most of the uric acid in the blood is filtered and eliminated by the kidneys and a small remaining amount in the stool. The concentration of uric acid in the blood can increase due to overproduction of uric acid or improper elimination of uric acid, and this condition is called Hyperuricemia. Hyperuricemia can also be caused due to cancer treatment by chemotherapy or radiotherapy. These treatment methods kill the cancer cells, which may leak the uric acid into the blood. Excess uric acid can form crystals in the synovial fluid between the joints causing inflammation and pain. This condition is called gout and can severely damage the joints if left untreated. Blood Uric Acid Test can indicate the presence of gout, or risk of formation of gout. However, it is not a definitive test for gout. Confirmatory test for gout is performed by analysis of synovial fluid (joint fluid) for monosodium urate crystals. Chronic Hyperuricemia can cause the formation of tophi, which are hard lumpy deposits of uric acid crystals formed under the skin, in the joints, and at the top of the ears. Tophi cause severe damage to the joints and may compress nerves causing chronic pain and disfigurement. The excess uric acid may also deposit and crystallize in the kidneys causing kidney stones and acute renal failure. 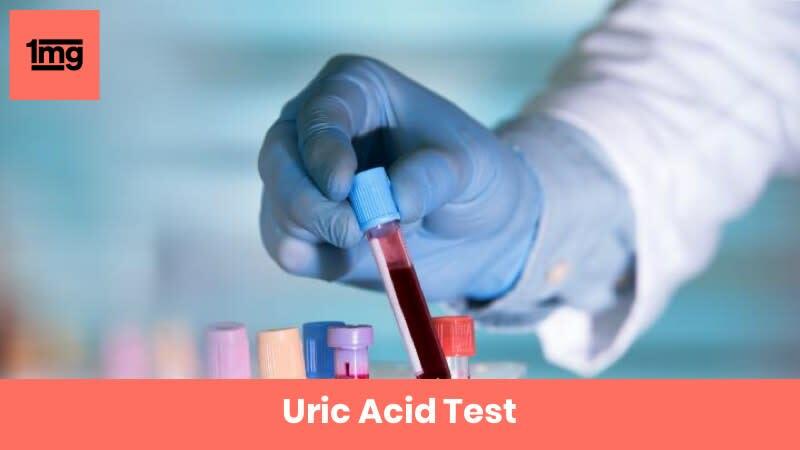 Higher than normal levels of uric acid in the blood is called Hyperuricemia and may be caused due to kidney diseases, gout, chemotherapy or radiotherapy treatment. Hyperuricemia refers to a condition where the blood uric acid level is above the normal range. This condition may be caused due to an overproduction of uric acid or improper elimination of it from blood. Q. What are the symptoms of Hyperuricemia? Q. What are the risk factors for Hyperuricemia? Q. What is the difference between gout and pseudogout? Gout or gouty arthritis is a medical condition which causes painful swelling and inflammation of the joints, most commonly of the joints of toes and lower limbs. It is caused due to excess uric acid in blood, leading to the deposition of monosodium urate crystals (uric acid crystals) in the synovial fluid of the joints. Pseudogout is a condition which shows symptoms similar to gout, namely painful inflammation and swelling at the joints. Pseudogout most commonly affects the knee joints, but may also affect the ankles, elbows, and wrists. It is caused due to formation and deposition of calcium pyrophosphate crystals in the joints. Deposition of these crystals can occur due to hypercalcemia, hypothyroidism, magnesium deficiency, high iron concentration in blood, and aging. Q. What other tests can be prescribed by your doctor in case of abnormal uric acid test result?